Availability by appointment during regularly scheduled business hours from 8:30 a.m. to 5:00 p.m., Monday through Friday, or by appointment after hours when necessary. Though we highly encourage amicable settlement, we can also draw upon our trial experience to go to court for you if necessary. 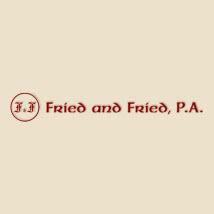 The attorneys at Fried and Fried, P.A., have a strong track record in litigation and will fight passionately for your best interests in court.